A lot of companies demand a strategy, and this action is metaphorically like placing the cart before the horse. Culture is the strategy. Therefore, it is more advisable to focus on the organizational culture prior to focusing on the customer and/or the product. The organization is the product. The organization is a collected group of people. This is why there must be unequivocal emphasis placed on the culture before the strategy can be formulated. It is for this reason that my Claremont Graduate University professor, the late Peter Drucker, said so long ago, “Culture eats strategy for breakfast!” Many professionals don’t understand this, including a Chief Marketing Officer who wrote about this topic in one of his blogs. Those confused argue against Drucker’s statement and how “culture trumps strategy” and further pontificate that strategy must be aligned with culture. Idealistically, yes. Realistically, not so much…What happens is that networking leads to positions (most especially at the C-Suite level), and it is typically top-leaders who create the “reward band” (i.e. determining who gets promoted), and that is usually how the tone is set of unwritten rules of behavior. Those behavioral expectations set into motion a shift into what becomes the organizational culture. Successful organizations have a visceral, palpable culture which permeates all managerial levels (i.e. Inclusion); otherwise, there can be a no definable, sure-fire strategy. They will probably have a number of full-time recruiters working in-house to attract top talent, but they will certainly not be able to retain their talent– either by resignation or fiscal failure. The key is having the leaders set the example and that begins by addressing the drivers (see my blog on “How Fear Interferes in the Workplace”). Allow me to provide some concrete examples that differentiate culture from strategy. First, what is culture? Culture is a set of beliefs, behaviors, and values performed by a collected group of individuals. This parallels my blogs on Thoughts, Actions, and Emotions (not to mention Jim Rohn’s Philosophy, Action, and Attitude). Second, what is strategy? 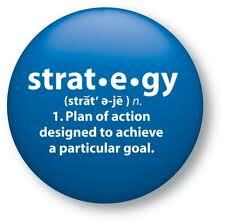 Strategy is a plan of action designed to reach a particular goal. MILITARY EXAMPLE. The strategy for the military would be their military plan, which entails which resources to procure, which techniques/commands for soldiers to employ, etc. The military culture is tough and committed to team loyalty. If the military attracts soldiers per their culture, then their strategy would work. If they recruit those who start but don’t finish, who crumble easily, and who are highly individualistic without regard for a soldier left behind, then the strategy would not work. BEST PRACTICE CORPORATE EXAMPLE. Southwest Airlines was founded by flamboyant Herb Kelleher. Their strategy is a business plan which entails how to keep their planes in the air, filled with passengers, and easy for mechanics to maintain. Their culture is casual/informal (e.g. shorts, funny songs, jokes, and bags of peanuts thrown down the aisles), egalitarian (e.g. male and Baby Boomer flight attendants, pilots are not superior to cabin staff), and cost-focused (e.g. only one style of plane, no meals). Their recruitment begins with observing the prospective employee or candidate-for-hire as they board the plane heading for the interview. If the candidate fits the culture, then s/he, unknowingly, makes it through the first round. If Southwest Airlines were to recruit those who are stoic, formal, and hierarchical, then the strategy would not work. Why? Because it’s too far of a cultural stretch for the new employees to unlearn their natural and conditioned behavior. FAILED CORPORATE EXAMPLE. Most companies choose to state as a “strategy” that they are to be the “best” at their product/service. Without stating specifically and concretely WHAT that looks like, HOW it is measured, WHICH action steps are to be taken, “to be the best” is simply empty rhetoric. Their “culture” is false propaganda aimed as a lame attempt to market the organization as an industry leader and/or to attract top talent. For example, the culture could proclaim to be “family, health, and innovative.” Reality may be that the “family” includes scores of “Cinderellas” and ugly stepchildren, “health” is recognized for the favorites (i.e. emotional health and preferential treatment), and “innovative” is without measure (i.e. subjective). This type of company lacks culture, and suffers from severe fragmentation and high attrition. 1. Employee Engagement Surveys serve no value if the objective is to aim for a higher score year after year. Leaders who tout that they must achieve a higher score than the previous year will influence their subordinates to rate a high score and not answer according to perspective. It becomes a ritualistic exercise in futility. 2. Hire a Leadership Development (LD) professional who has studied Organization Development. One per every 300-400 employees is advisable. S/He can conduct a cultural analysis, retain confidentiality for employees (i.e. no documentation of conversations), and develop teams. Anthropologist Margaret Mead said all change is possible in small groups. 3. C-Suite executives must have mandatory coaching. This is to avoid corporate bullies who take on defensive/offensive controller behavior(s) of their respective division(s). Either the coaching is performed by an external, in order to avoid repercussions (i.e. termination); or, an internal LD professional who has a contract, and thereby has the assurance to do his/her work without “cloak & dagger” consequences. 4. Provide quality Performance Management Reviews (PMRs). This is a weakness pervasive across America. Most especially at one recent client where the supervisor would proselytize to others to not “Make Stuff Up” but when it came to himself, his defense was that he was fairly intuitive and others had even told him so! For these reasons, he believed he was entitled to make assumptions without inquiry. It would behoove organizations to promote employees with zero direct report experience into supervisory roles, only after they have been thoroughly trained as to how to provide a quality PMR; otherwise, their feedback can be destructive/ineffective behavior that may tear at the fabric of the culture and increase attrition. Using a Behavioral Science tool (e.g. Ntrinsx) should help those supervisors lacking supervisory experience &/or education. Feedback has to always be first-hand observation; otherwise, the feedback is gossip and that is not a professional PMRs. Leaders are not susceptible to hear-say. It must be non-accusatory and free from condemnation. Separate the action from judging the person. One supervisor took his direct report into a room to say how “embarrassed” he was of her. While the emotion demonstrated is best kept honest, this incident was a reflection of his managerial inadequacies. Supervisory feedback is intended to develop the direct report; it is not an allowance to use the direct report as a target or therapeutic outlet for one’s deficiencies. Effective feedback serves as an aid and includes specific actions which are effective, and also provides, as a contrast, specific behaviors that were observed to be ineffective. Look in the mirror. This touches upon compassion. Is the criticism provided also information that you can apply to yourself? Or, are you applying a double-standard? If so, you may merit some push back. Keep it confidential. This “should” be a no-brainer; however, one supervisor with three direct reports, shared information supplied by one direct report about a second one to the third. This is called “Triangulation,” in Psychology. Lastly, nothing should be in writing until Round 2 – this means that feedback must not be a “Surprise! Gotcha!” event. The direct report deserves the professional opportunity to rectify behavior prior to seeing it in black-&-white, ready to be filed away. So, have the courage to have the conversation prior to PMRs to solidify your leadership relationship and abilities. Be true to who you are, and the rest will follow. Identity is destiny, or suffer the true corporate death. Jody Hoffer Gittell, The Southwest Airlines Way, (New York, NY: McGraw-Hill, 2005). Jim Rohn, Five Major Pieces to the Life Puzzle, (Lake Dallas, TX: Jim Rohn Int’l, 1991).